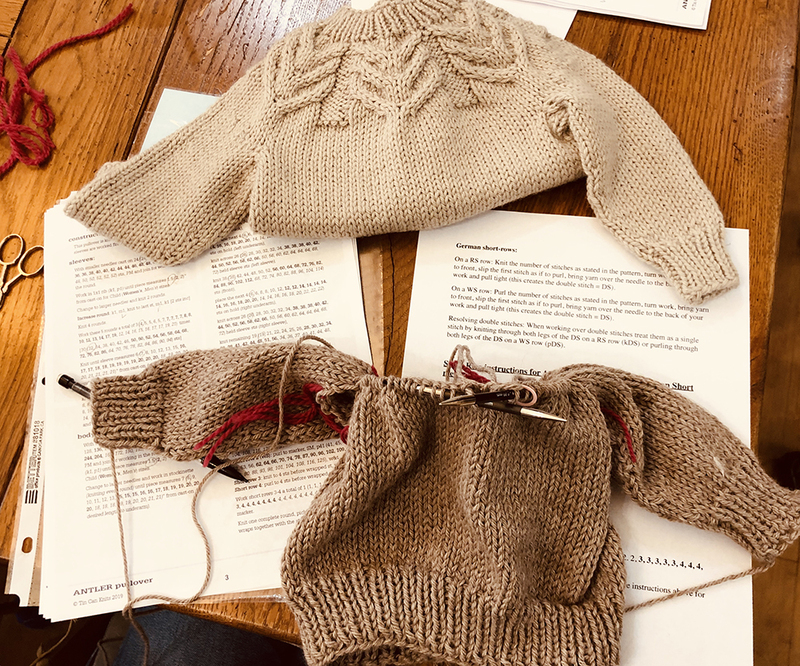 Susie’s Antler Pullover, a Tin Can Knits pattern, is ready for the yoke. The table was busy with these beauties in Juliet’s class this morning. The new class schedule will be shortly - before week’s end!